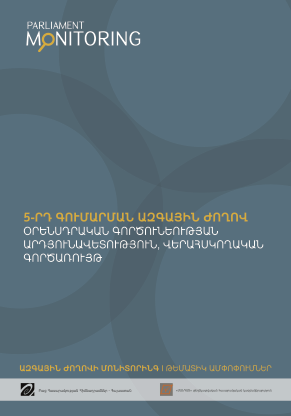 Monitoring of the NA, 9th session ԱԺ մոնիտորինգ, 5-րդ գումարում, 8-րդ նստաշրջան, 2015թ. 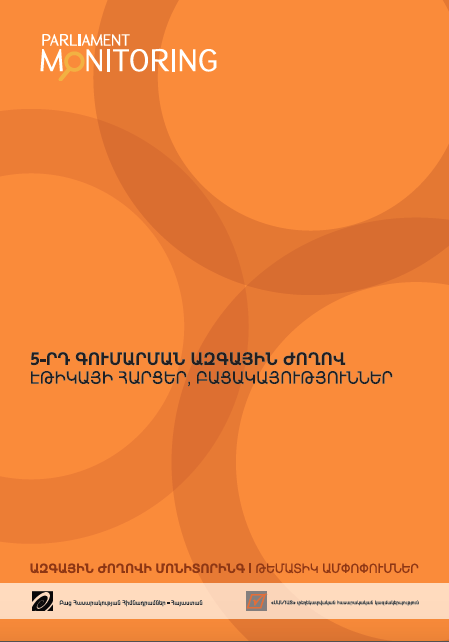 Monitoring of the NA, 7th session ԱԺ մոնիտորինգ, 5-րդ գումարում, 6-րդ նստաշրջան, 2014թ. 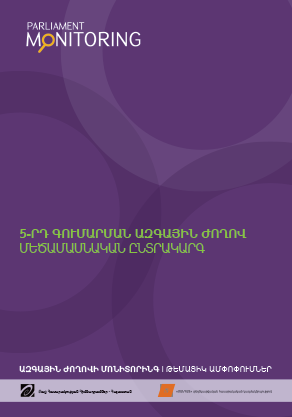 Monitoring of the NA, 5th session ԱԺ մոնիտորինգ, 5-րդ գումարմում, 4-րդ նստաշրջան, 2013թ. Monitoring of the NA, 3rd session ԱԺ մոնիտորինգ. 5-րդ գումարում, 2-րդ նտաշրջան, 2012թ. ԱԺ պատգամավորների հայտարարագրեր 2012-2016 թթ.